PROFESSOR Stephen Hawking submitted a research paper just two weeks before he died hinting how scientists could find another universe and predicting the end of the world. The iconic physicist completed the groundbreaking research from his deathbed, said co-author professor Thomas Hertog. It sets out the maths needed for a Star Trek-style space probe to find experimental evidence for the existence of a "multiverse" - the idea our cosmos is only one of many universes. If such evidence had been found while he was alive, it might have put Hawking in line for the Nobel prize he had so desired, reports The Sunday Times. "This was Stephen: to boldly go where Star Trek fears to tread," said Hertog, professor of theoretical physics at KU Leuven University in Belgium. "He has often been nominated for the Nobel and should have won it. Now he never can." The paper confronts an issue that had bothered Hawking since the 1983 "no-boundary" theory he devised with James Hartle. In his "no boundary theory" devised with James Hartle, the pair described how the Earth hurtled into existence during the Big Bang. But the theory also predicted a multiverse meaning the phenomenon was accompanied by a number of other "Big Bangs" creating separate universes. In his final paper, Hawking, along with the professor for theoretical psychics at KU Leuven University in Belgium, explored how these universes could be found using a probe on a spaceship. The paper also predicted how our universe would eventually fade into blackness as the stars run out of energy. Such ideas are controversial among cosmologists. Professor Neil Turok, director of Canada's Perimeter Institute and a friend of Hawking's, but who disagreed with his ideas, said: "I remain puzzled as to why he found this picture interesting." Other scientists said Hawking's work might represent the breakthrough that cosmology needs, especially because it was the first such theory that could be tested in experiments. The paper, called "A Smooth Exit from Eternal Inflation", had its latest revisions approved on March 4, 10 days before Hawking's passed away. The Sunday Times reports that the paper is due to be published by an unnamed "leading journal" after a review is complete. Hertog also told The Sunday Times he met with Hawking in person to get final approval before submitting the paper. Hawking won accolades from his peers for having one of the most brilliant minds in science, but he never got a Nobel prize because no one has yet proven his ideas. The Nobel committee looks for proof, not big ideas. Hawking was a deep thinker - a theorist - and his musings about black holes and cosmology have yet to get the lockdown evidence that accompanies the physics prizes, his fellow scientists said. "The Nobel prize is not given to the smartest person or even the one who makes the greatest contribution to science. It's given to discovery," said California Institute of Technology physicist Sean Carroll. "Hawking's best theories have not yet been tested experimentally, which is why he hasn't won a prize." Hawking has often been compared to Nobel laureate Albert Einstein, and he died on the 139th anniversary of Einstein's birth. But Einstein's Nobel wasn't for his famed theory of general relativity. It was for describing the photoelectric effect, and only after it was verified by Robert Millikan, said Harvard astronomer Avi Loeb. 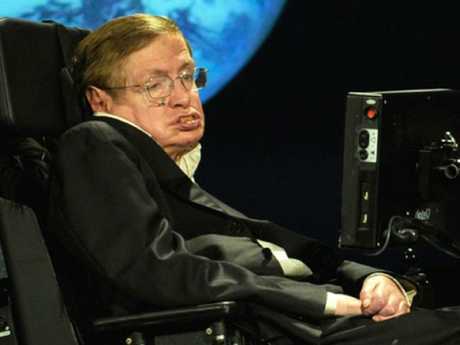 Hawking's computer-generated voice was known to millions of people around the world, a robotic drawl that somehow enhanced the profound impact of the cosmological secrets he revealed. The technology behind his means of communication was upgraded through the years, offering him the chance to sound less like a machine, but he insisted on sticking to the original voice because it had effectively become his own. The renowned theoretical physicist, who died last week aged 76, lost his ability to speak more than three decades ago after a tracheotomy linked to complications in the motor neurone disease he was diagnosed with at the age of 21. He later told the BBC he had considered committing suicide by not breathing after the operation, but he said the "reflex to breathe was too strong". Hawking started to communicate again using his eyebrows to indicate letters on a spelling card. A Cambridge University colleague contacted a company which had developed a program to allow a user to select words using a hand clicker, according to a 2014 report in Wired magazine. It was linked to an early speech synthesiser, which turned Hawking's text into spoken language. In 1997, PC chipmaker Intel Corp stepped in to improve Hawking's computer-based communication system, and in 2014 it upgraded the technology to make it faster and easier for Hawking to communicate. It used algorithms developed by SwiftKey, a British software company best known for its predictive text technology used in smartphones. Hawking provided lectures and other texts to help the algorithm learn his language, and it could predict the word he wanted to use by just inputting 10-15 per cent of the letters. 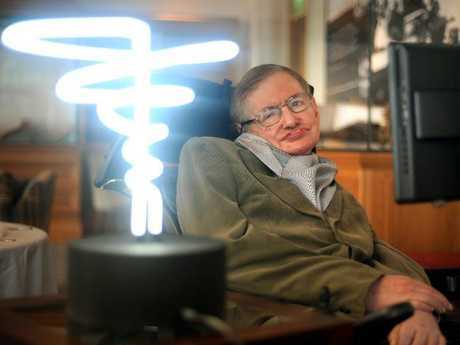 Hawking stuck with the sound produced by his first speech synthesiser made in 1986. "I keep it because I have not heard a voice I like better and because I have identified with it," he said in 2006. 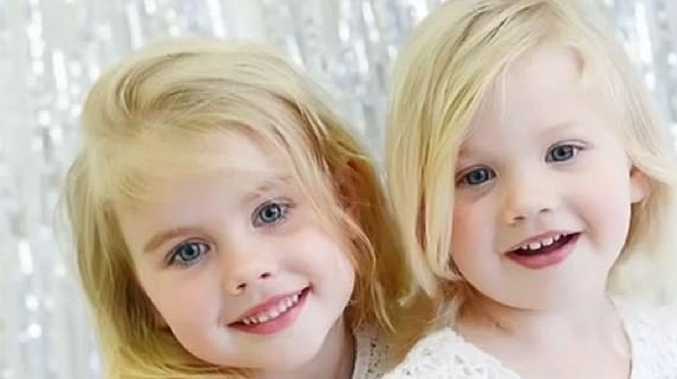 Part of this report was originally published by The Sun and has been republished with permission.